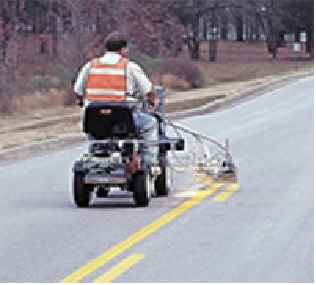 Aquastripe IS is a Single pack, High solid, fast drying, durable, Water borne Acrylic Road marking Paint for application by cold paint spray machine, brush or roller. Aquastripe IS is fast drying and quickly dries to a no track condition in less than ten minutes. AQUASTRIPE IS is environmentally friendly and requires no organic solvents. Aquastripe IS conforms to the IS 164-1981 specifications. Available in White, Yellow and Black. We can manufacture other colours on request.